Remember when Switchback Brewing started bottling its beers back in 2012 and everyone went crazy? Well, hold onto your seats, folks, because later this week the Burlington South End brewery will start shipping six-packs of its flagship ale and cool-weather seasonal, Dooley's Belated Porter, to Vermont retailers, co-owner Bill Cherry tells Seven Days. The brewery will also release occasional four-packs of high-alcohol brews and specialty beers, such as its newish line of sours and other small-batch project brews. Rather than use the standard longneck bottles, the brewery will package in short-neck bottles similar to those used by Jamaican brewery Red Stripe. "The first thing that happens [when people see these bottles] is that they smile," says Cherry, noting that Switchback is the first local brewery to avail itself of the stubby little containers. 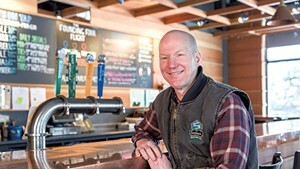 Bottled offerings will rotate with the seasons, and Cherry says he's working on acquiring hop contracts that would him enable to annex Switchback's popular Connector IPA as a second year-round offering sometime in early 2016. 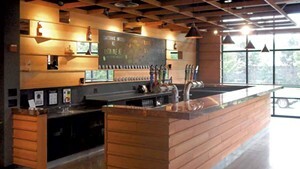 The new packaging caps off more than a year's preparation, in which the company improved infrastructure, increased brewing capacity, staffed up, and empowered its brewers with developing new beers and projects. "We've kind of had quite a year over here," says Cherry, noting that Switchback has been poised to produce three times its current output since April. Still, Cherry wanted to make sure all the pieces were in place to handle the increased demand that he expects will come with the new format. "We don't want to get caught with our pants down," he says. "We're really a little scared of what might happen, because [this] is the package people like." The original print version of this article was headlined "Switching It Up"